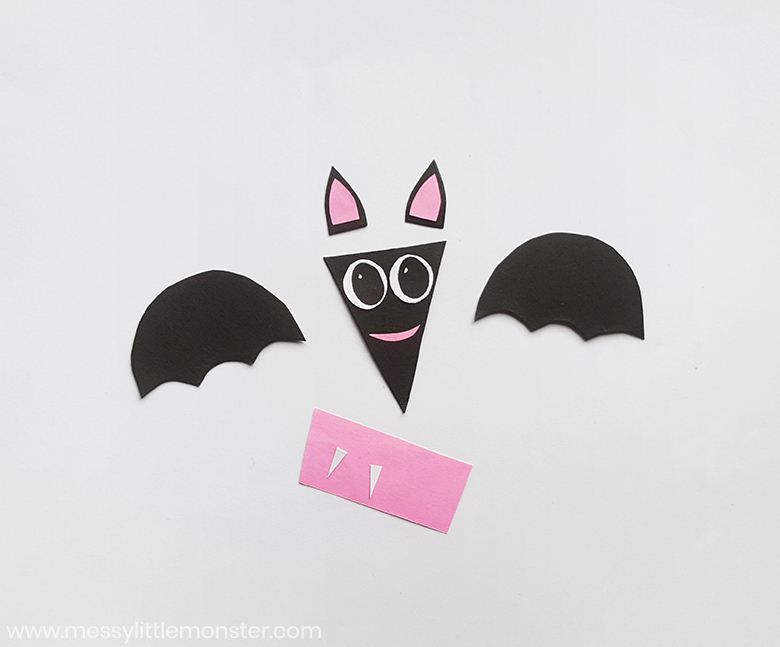 This bat craft makes a PERFECT preschool shapes activity for this time of year! It is such a fun Halloween craft that looks amazing at the same time as teaching preschoolers their shapes. 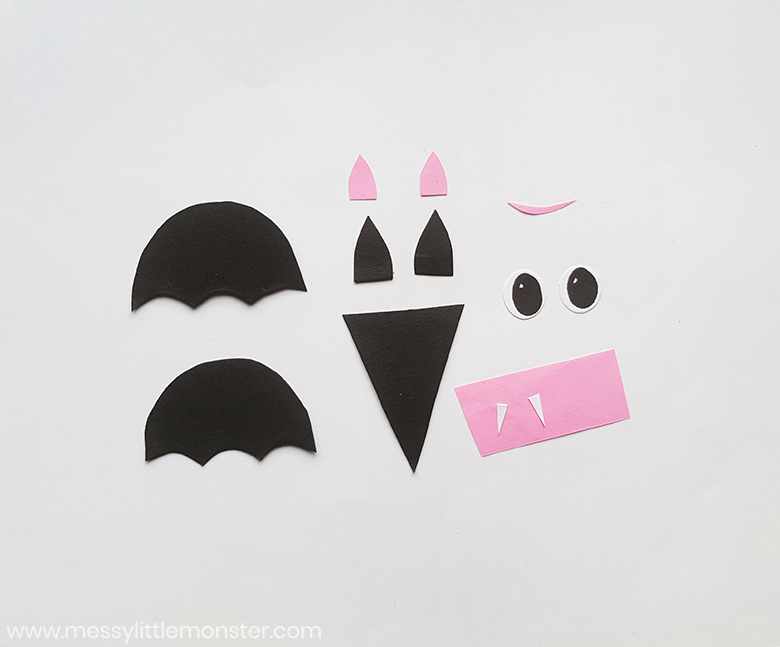 We have included a free printable bat pattern to make this bat craft easy and fun! Just follow the step by step directions below for this fun shapes activity for preschoolers. If you're looking for another bat craft, be sure to check out this fun silhouette bat craft that uses a different bat outline! 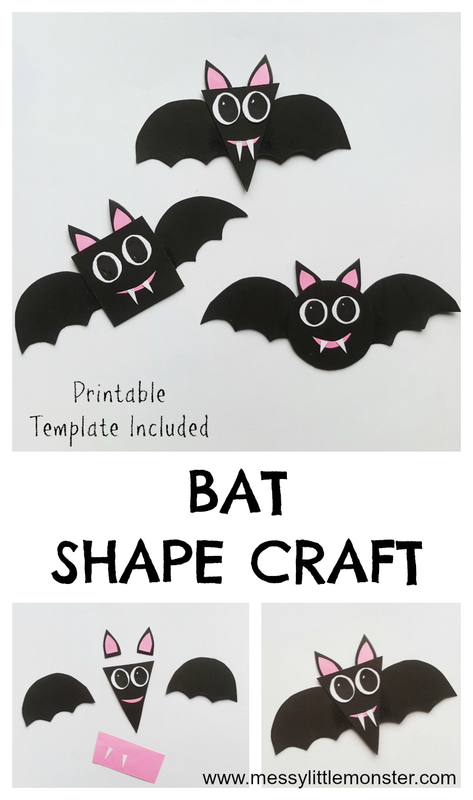 This bat craft would be so fun to make in the lead up to Halloween! 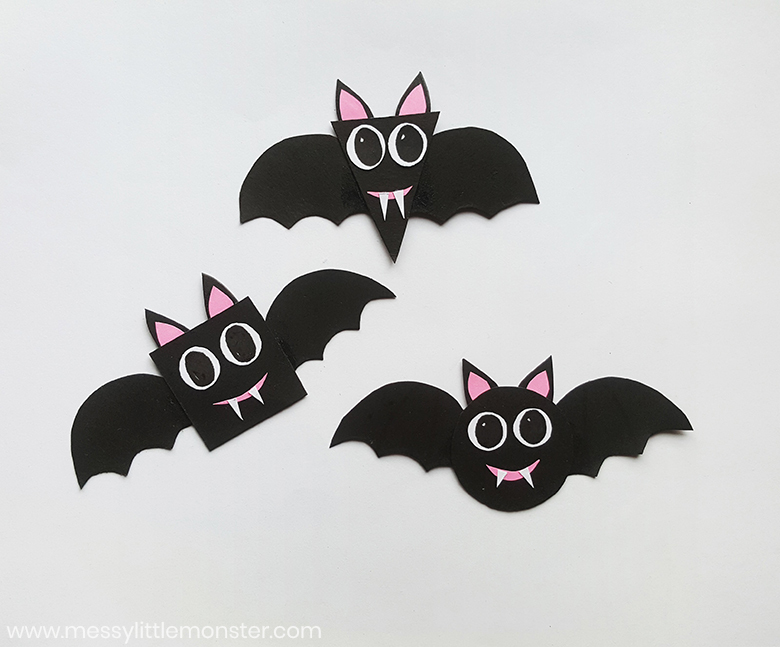 Whether you are looking for shape activities for preschoolers to do in a classroom, on a playdate or as a rainy day activity, these shape bats are lots of fun to make and display! How amazing would these shape bats look hanging up as decorations for a Halloween party! 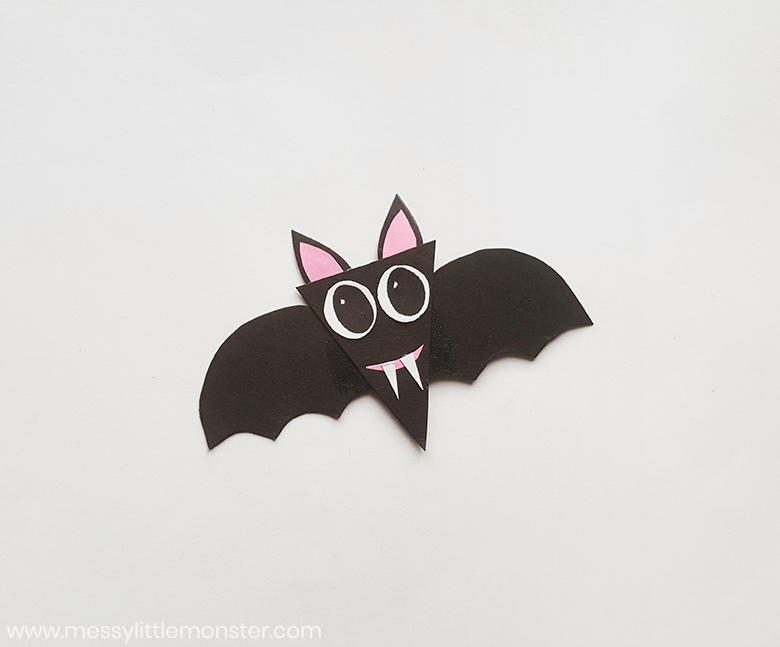 Just follow the directions below to make this Halloween craft for preschoolers using our free printable bat pattern! 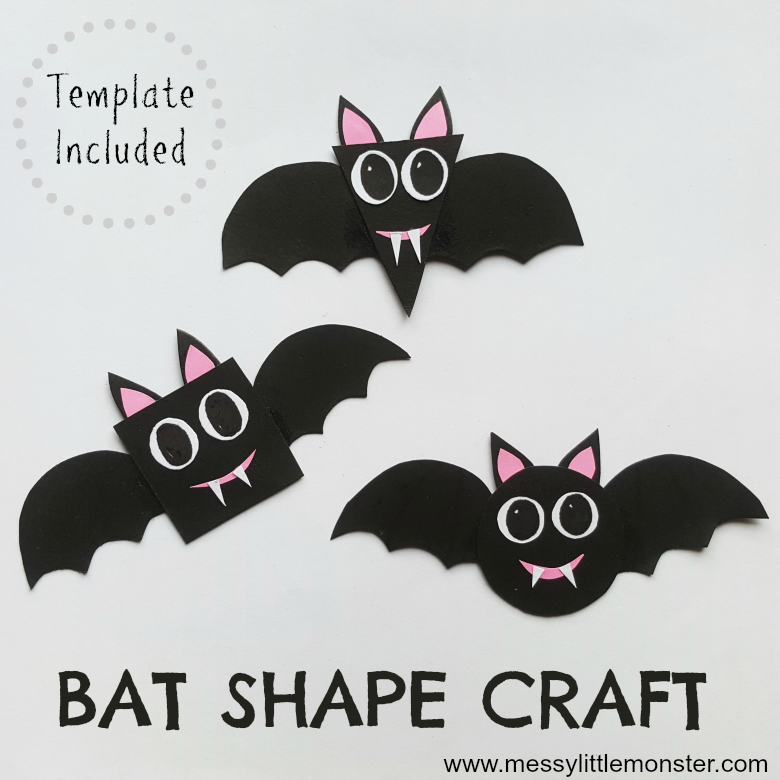 The printable bat template includes 3 shapes; a circle, square and tringle but you could always take this shapes activity one step further and make bats in all kind of shapes! SCROLL DOWN FOR THE FREE PRINTABLE BAT PATTERN! 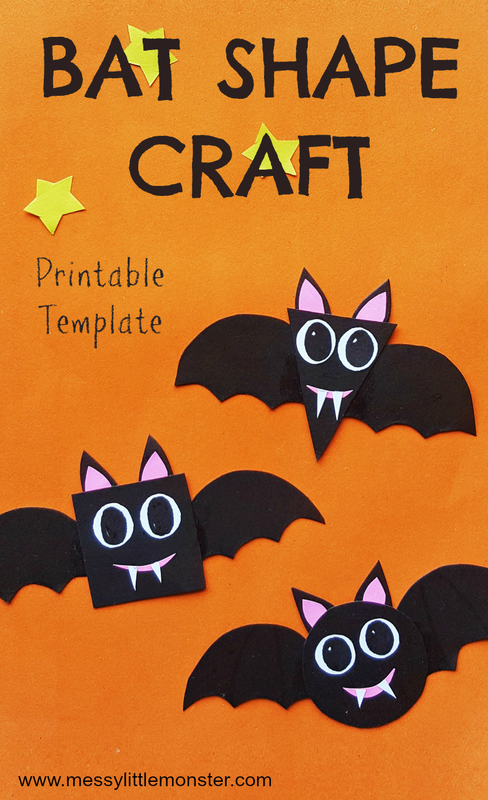 Before you get started with this shape bat craft, make sure to gather up all your supplies! It makes it SOOOOOO much easier when you aren't running around looking for supplies! Make sure to download and print off your printable bat pattern. If you are doing this shape activity with younger preschoolers and toddlers you may want to trace and cut out the shapes ahead of time. Once you have prepared your supplies, it's time to get started on your bat craft! Trace the shapes from your template onto coloured craft papers. Trace the small triangles onto white paper, trace the curved shapes and inner ear shapes onto pink paper, and trace the remaining shapes onto black paper. The bat pattern includes 3 different shaped bats. The body of each of the bats will either be a circle, square or triange, the other pieces used to make this bat craft remain the same. Glue your wings onto both sides of the bat's body - making sure to apply pressure to allow them to stick together without coming apart. Repeat the steps for each bat shape that you would like to make. Don't feel that you need to only make the shapes included on the bat template. 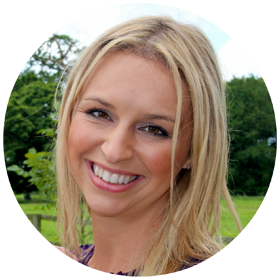 How much fun would it be to make a heart shaped bat, a rectangle bat or a hexagon bat! 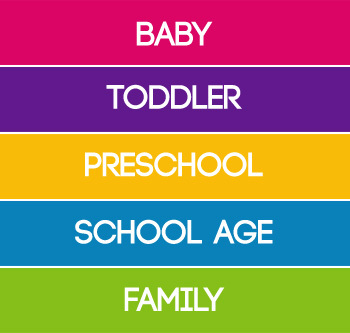 Toddlers and preschoolers will have so much fun exploring different shapes! Once your bats are complete leave them to dry before displaying them. These bats would look super displayed on the walls for halloween. To download this bat pattern template for free add $0 and click on the 'I want this' box below. It may take a moment for the page to load so please be patient. 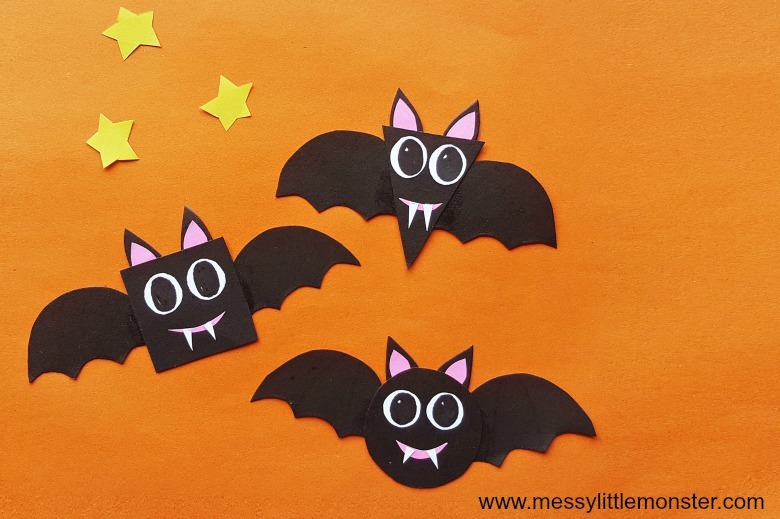 We hope you enjoy making this fun bat craft with your preschoolers or toddlers! This preschool shapes activity is so perfect for Halloween! 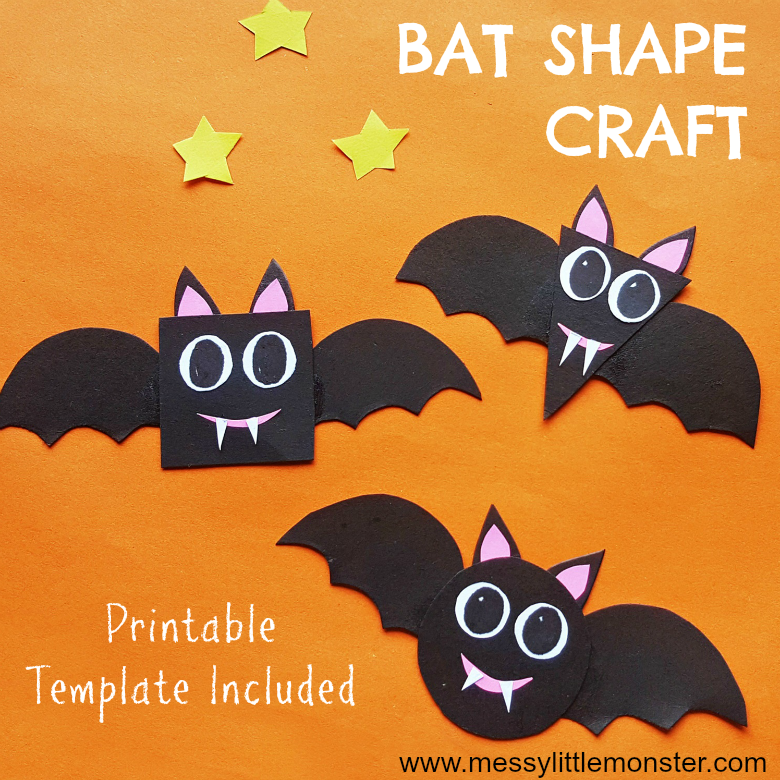 Hopefully the printable bat pattern will help to make this bat craft super easy! If you're looking for more shape activities for preschool, make sure to check out this fun shape painting activity. We also have lots more Halloween activities for kids!